A fun toy Roman Sword and Scabbard. 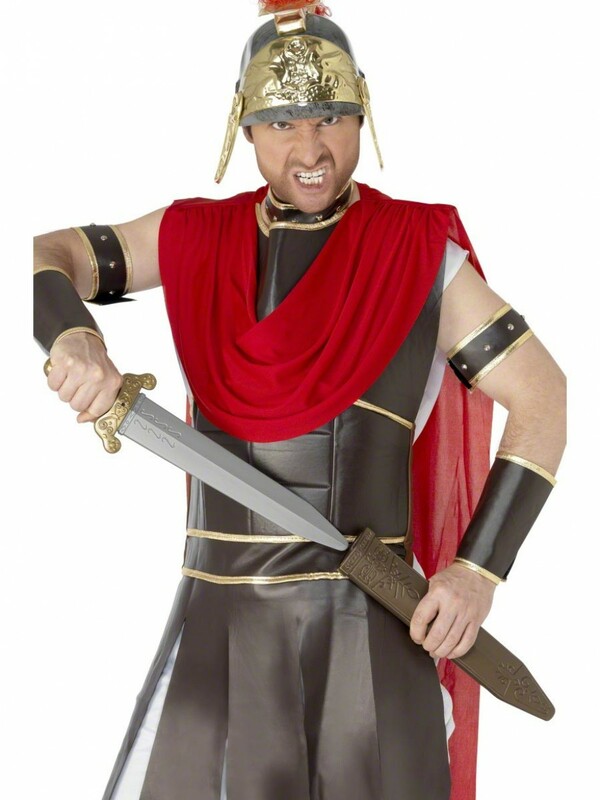 A great fancy dress accessory for a toga party, warrior or soldier fancy dress outfit. A plastic Roman Sword and Scabbard set, with great design detailing to create the ‘ancient’ warrior look, as pictured. This fancy dress accessory is a great addition to a Roman warrior, Viking or Soldier fancy dress costume. The large sword measures approximately 19” in length when in the scabbard.